If you’ve ever wondered why you need car insurance, the answer is two-fold. Not only is it legally required in pretty much every state (Virginia and New Hampshire are the only two states that do not require it), but it’s smart. Having car insurance is smart because can it save you a lot of money and stress if you hit someone, injuring them and damaging their vehicle and yours. It can also save you a lot of money and stress if someone else hits you, whether they are insured or not. We are dedicated to helping you find the best car insurance options with our guides, our list of top 5 car insurance providers and our car insurance reviews. At Top5, we searched high and low for our list of top 5 car insurance companies, rating them based on price, add-on options, available discounts, financial rating, car insurance reviews and coverage. Here are our picks for best car insurance companies. 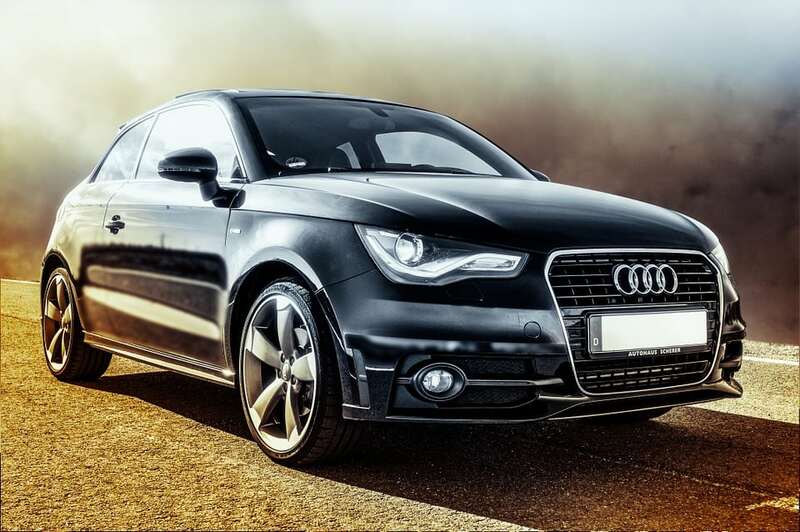 While we summarize our top 5 car insurance companies here, you can read our more detailed car insurance reviews if you’d like more information. Progressive is a multi-disciplinary insurance company that offers car insurance, life insurance, health insurance, travel insurance and more. 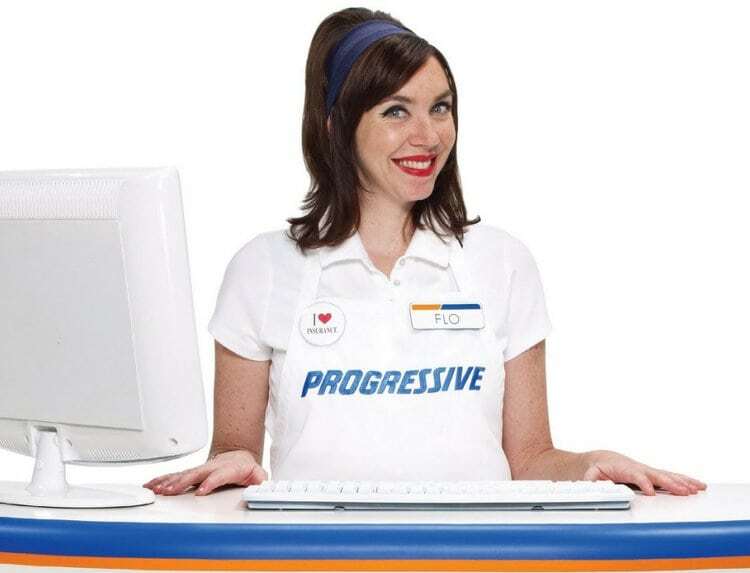 You may recognize Flo from Progressive’s marketing campaigns. It is the third largest car insurance company in the U.S., providing coverage to over 17 million people. This makes Progressive one of the top 5 car insurance options not just for us but for lots of other car insurance reviews. Progressive offers competitive prices and a plethora of discount options. There’s pretty much one discount option available for any driver. Most notable are Progressive’s small and large accident forgiveness programs. Small accident coverage means that if you are involved in a small accident such as a fender bender and file a claim of less than $500, your premiums will not increase. Its large accident forgiveness programs mean that if you have Progressive coverage for at least five years and remain accident-free for three yours, your premium will not increase should you become involved in an accident. While Progressive does offer teen driver discounts and other good student discounts, its rates are typically more expensive for young drivers than competitors. Thus, while Progressive is our top choice for Best All Around Car Insurance, it is only so for those without young teenage drivers. if you have teen drivers, we recommend Allstate. Progressive consistently gets great car insurance reviews, and they’re a great option out of our top 5 car insurance picks. 24/7 customer service: With Progressive, you’ll never have to wait anxiously about when you can contact your insurance company. Accident forgiveness: For good drivers who still get into an accident, this policy can be helpful. Good discounts: Progressive offers discounts for almost every driver. High rates for young drivers: Parents of teens may want to choose another option because of the expensive teen driver rates. Not available in all states: Progressive might be a great option, but if it’s not available where you are, you can’t take advantage of their offerings. 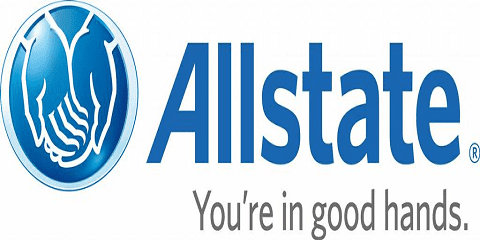 “Are you in good hands?” You may recognize Allstate’s catchy slogan and, if you have Allstate, you really are in good hands because this is one of our top 5 car insurance companies. Allstate is our top choice for Best All-Around Car Insurance for Young Drivers and Their Families. This includes teenage drivers, college students and drivers under the age of 26. Allstate serves more than 16 million American drivers and is one of the largest car insurance companies in the U.S.
Allstate offers competitive pricing and optional add-on packages such as accident forgiveness. This means that your premiums won’t go up if you are involved in an accident — no matter who was at fault! Allstate also has an easy-to-use app, which means if you are involved in an accident, you can file a claims form in second. Did you know that teenage drivers and other young or new drivers can cost up to 80 percent more to insure adults and seasoned drivers? As such, adding a teen, college student, or another new driver to your policy can be quite a financial undertaking. 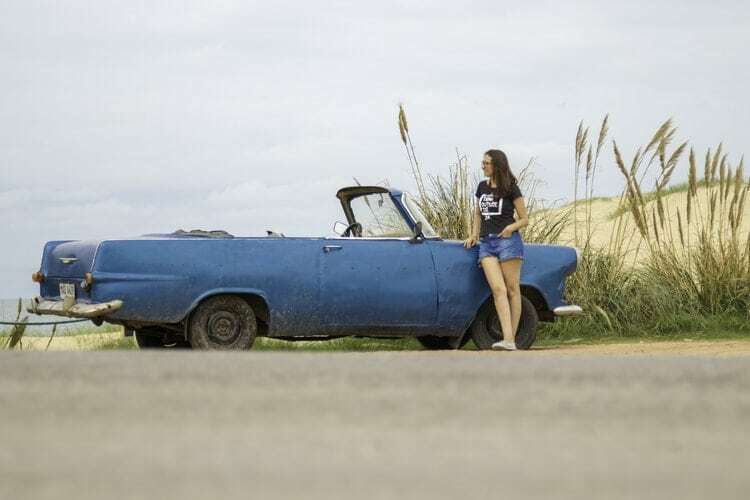 Allstate offers a variety of discounts for young drivers, and its good student insurance rates are more affordable than other car insurance companies on our list. Thus, if you want to add your young driver to your car insurance, Allstate is our top choice for Best All-Around Car Insurance for Young Driver and Their Families. Allstate gets great car insurance reviews, and we’re happy to include them in our top 5 car insurance list. Discounts for young drivers: Car insurance can be expensive for younger drivers, so discounts in this category can make a big difference to families. Mobile app: The mobile app makes it easy to submit claims, update pictures and view the status of your claim. Ride-share options: If you drive for a company like Uber or Lyft, you can get additional coverage to protect you while you’re working. No discount for electric vehicles: You may be helping to save the environment, but you won’t get helpful savings on your car insurance. No gap insurance: Allstate does not offer insurance to cover the difference between an insurance payout and your car loan. USAA is our favorite car insurance company as it offers some of the best pricing around. However, it’s only available for active and former military members and their families. As such, we couldn’t vote it “Best All Around Car Insurance,” but it does make our list as the Best Car Insurance For Military Families. 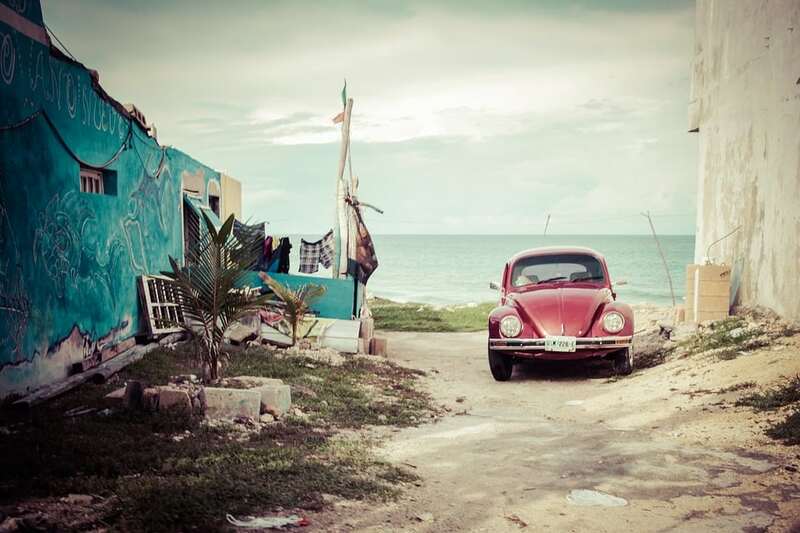 If you can qualify, we highly recommend this one out of our top 5 car insurance options. Even though it has a niche segment, USAA is the fifth largest auto insurer and has nearly 12 million members. USAA offers competitive pricing for everyone, including young drivers. In fact, its premiums for young drivers were some of the lowest we found. USAA also offers a variety of discounts including bundling (USAA also offers homeowners and renters insurance, so if you purchase more than one, you can get a discount of 10 percent). It offers flexible payment plans, as well as accident forgiveness. If you remain accident-free for five years, USAA will add accident forgiveness to your plan for free! 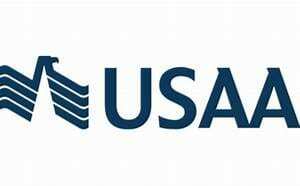 USAA is available for active military members, former military members, cadets and midshipmen, and family of military, including widows and widowers, divorced spouses and children of USAA members. USAA gets excellent car insurance reviews, which is another thing that puts it in our top 5 car insurance options. Bundle discount: If you get multiple types of coverage through USAA, you can get great discounts on your insurance. Easy claims process: USAA makes filing claims easy, so you don’t have to worry about it when you’re already dealing with the aftermath of an accident. Flexible payment plans: You can choose out of their options to find something that works best for you. Military only: If you’re not in the military or family with someone in the military, you won’t be able to choose USAA. Liberty Mutual Insurance Group is a multi-disciplinary insurance provider that has been around for over 100 years. Liberty offers car insurance, property insurance, life insurance and pet insurance. It also provides insurance for identity theft, small business and more. 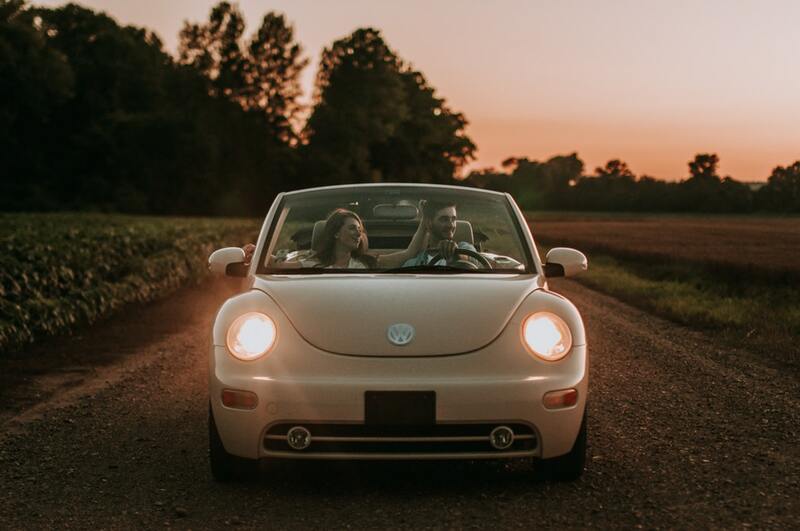 Given the variety of coverage, Liberty Insurance is in our top 5 car insurance picks and our choice for “Best All in One Insurance Provider.” If you are looking for one company where you can enroll for car insurance, life insurance, property insurance and more, you can’t beat Liberty Insurance. Liberty offers discounts for those with clean driving records, hybrid and electric cars and good grades (if you are a student). The company also offers add-ons such as accident forgiveness and lifetime repair guarantee. One of its key differentiators is its Teacher’s Auto Insurance Policy. Liberty offers educators protection against vandalism, personal property damage, and collision coverage if you are involved in an accident while driving for school-related business. Liberty frequently gets top car insurance reviews. Competitive pricing: If cost is a major factor for your opinion of best car insurance, know that Liberty often has some of the best deals on the market. Helpful app: The app gives you all your insurance information right at your fingertips. Teacher discounts: Teachers provide a valuable service to our community, so it’s nice that Liberty gives them special discounts and coverage for teacher-specific needs. 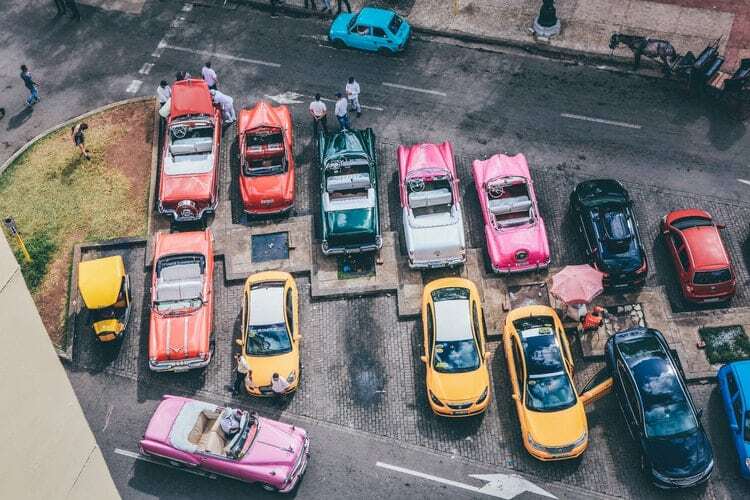 Multi-car priority: Liberty targets multi-car households. If you only have one car, the plans may be a little more expensive than competitors’ plans. Limited add-ons: Liberty doesn’t offer as many optional coverage items as other companies. MetroMile believes that the more you drive, the more likely you are to be involved in an accident. Thus, it rewards you for not driving. Rates start at just $29/month, making the cheapest car insurance option around for those who qualify. However, at present, MetroMile is only available in eight states (Arizona, California, Illinois, New Jersey, Oregon, Pennsylvania, Virginia and Washington), as some states actually prohibit pay-per-mile insurance. If you live in San Francisco and prefer taking BART to driving the 101, MetroMile may be a good choice for you, but if you live in NYC, unfortunately, it’s not yet an option. Even though this is a new company, the car insurance reviews for MetroMile have generally been positive and excited about what this company has to offer. Inexpensive plans with less driving: If you prefer other types of transportation to driving but still need car insurance, you won’t have to pay as much as you would with other companies. Multi-car discounts: If you have more than one car in your household, you can get a discount. Inconsistent premiums: Because you are chased based on how much you drive, it can be hard to plan for exactly how much your car insurance will cost each month. Limited availability: You can only use MetroMile if you live in one of the few states where this insurance is available. Slow claims process: You can’t file claims from the app, and several car insurance reviews for MetroMile say that claims take longer than other companies to process. Car insurance is what protects your car (and you) if you are involved in a collision, but it isn’t a “one and done” deal. There multiple types of car insurance designed to keep you, your car and your passengers protected should an accident occur. Liability insurance, collision insurance, and comprehensive insurance are the three most popular types of car insurance, but there are also about a dozen more add-ons you can invest in to further protect you and your car. Because different companies offer different types of coverage, you’ll need to do your own research to find what you hope to have covered. This is easy: car insurance is legally required. Plus, it can save you a lot of money and stress if you are involved in a car accident, regardless of who is at fault. And if you accidentally hit a stationary object and the accident is entirely your fault? Car insurance can still save you money. 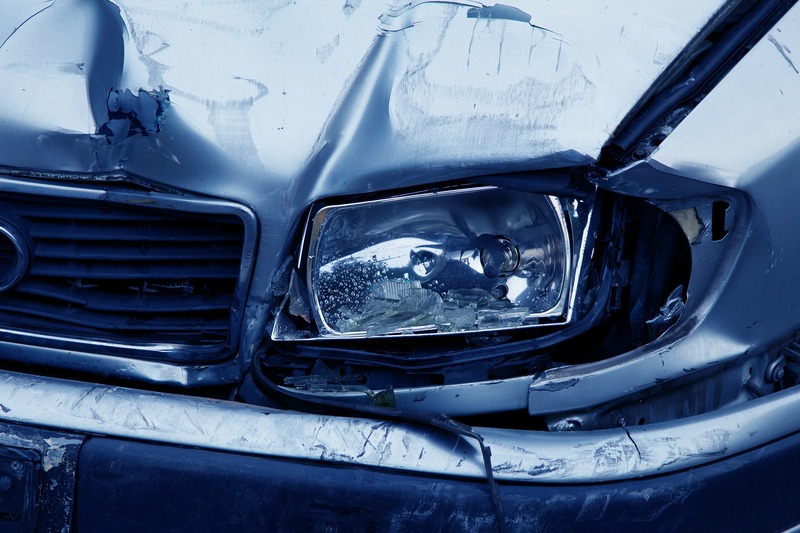 Did you know that there are approximately 6 million car accidents in the U.S. a year? That’s about 16,000 a day! Cars are expensive, and fixing them is just as expensive. Additionally, in the U.S. there are over 37,000 fatalities and 2.4 million injuries each year due to car accidents. In the U.S., the average cost of an accident is $820 per person, but it can be much higher depending on the extent of the damage, as well as depending on whether or not you have car insurance. Car insurance will protect you from the stress and financial problems that can come from accidents. Evan Walker, a lawyer who owns his own practice in California, shared with Supermoney how car insurance saved a family’s finances after their 9-year old son was hit by a car. After being struck by a car, the 9-year old boy spent a week in the hospital. The bill? $100,000. While the driver of the car had insurance, his insurance company and the police blamed the boy for running out into the street and said he was 50% at fault in the accident. Thankfully, Evans was able to intervene by looking at the policy limits. In the end, Evans did not have to file a lawsuit and was able to get all of the boy’s medical bills paid. Without car insurance, chances are the family would have been stuck with the $100,000 in medical bills. Now that’s a positive car insurance review. There are many different types of car insurance, so make sure you do your research to see what the best option is for you and your family. Bodily injury: If you are at-fault in an accident that injures another person, bodily injury liability coverage will help pay for the injured person’s medical costs. Property damage: If you are at-fault in an accident that damages someone’s property, such as their car, property damage liability coverage will help cover the cost of repairs or even replacement. Theft: You’ll have protection if your vehicle is stolen. Vandalism: Coverage would include incidents like someone keying your car, breaking your windows or intentionally causing destruction in another way. Natural disasters: If your car is damaged in a hurricane, tornado or flood, your car will be covered. Falling objects: If a tree branch falls and damages your car, you’ll be able to get help from your insurance. Damage caused by animals: If you live in the mountains or like to go camping and a bear or other large animal causes damage, your insurance provider will help repair the damage. In addition to the above, many car insurance providers provide add-ons, including medical payments coverage, uninsured/underinsured motorist coverage, rental car reimbursement and much more. When Should You Purchase Car Insurance? If you are purchasing your first car, you’ll need to get car insurance before you drive the car off the lot. If you already have car insurance and are simply buying a new car, we recommend contacting your car insurance provider before purchasing your car and adding it to your policy. While some car insurance providers give you between 7 – 30 days to add your new car to your insurance policy, this isn’t always the case. We recommend checking in advance with your preferred company to see what their policy is. If you’re not sure what the best car insurance company is for your needs yet, get quotes from your top 5 car insurance companies and read reviews before you buy the car. That way, you’ll have your car protected from the beginning. What Should You Look at When Selecting a Car Insurance Provider? When selecting a car insurance provider, there are a lot of factors to consider. Price is obviously a major contender, but it varies depending on factors. Age: Age is one of the biggest factors, as most car insurance companies charge higher rates for teen drivers. We recommend getting quotes from several different insurance providers to determine which is right for you. You can also look at car insurance reviews to make sure your top 5 car insurance choices offer good rates for the age range you want to cover. Annual mileage: The more you drive, the higher your car insurance will be. This makes sense because the more time you spend in the car, the more likely it is that you will get in an accident. Driving history: When you apply for car insurance, the companies will ask you how old you were when you got your license, whether or not you have been involved in an accident in the last 3-5 years and if you have received any tickets. Gaps in insurance coverage: If you are applying for car insurance after not having it for a period of time, your rates may be higher. Individual state laws: Check your state requirements to see if you need liability coverage or additional coverage. Your state requirements may require you to buy more types of coverage, which will cost more money. Location: Your location will affect the price of your insurance. Make and model of your car: The type of car you drive will affect your car insurance rates. If you drive a reliable, safe car with airbags, for instance, your insurance rates will be cheaper than if you drive a luxury convertible. Many car insurance companies provide discounts for good driving, policy bundling, smart students, paperless statements and more. Once you have an idea of the base rate, research what discounts each policy provides to see if you can lower your monthly premium. This can be done online by going to your top 5 car insurance providers’ websites, reading car insurance reviews or by talking to a representative. Financial security is important for an insurance company, as it indicates how well a company can pay claims. You’ll want to look at what rate companies such as S&P, A.M. Best and Moody’s give each insurance provider. The best car insurance companies will have A and higher ratings. How Should You Get and Compare Quotes? Getting car insurance quotes is simple, and we recommending soliciting quotes from at least three different companies before selecting one. If you get a list of your top 3 or top 5 car insurance options, you’ll be able to narrow down what the best choice is for you. Most car insurance companies enable you to get a quote and sign up for insurance online. Once you have provided answers to the above (as well as a few more simple questions), you will either receive your quote online or via email. Once you get your quotes, you can narrow down your list from your top 5 car insurance options to just one or two. If you need help deciding after you get your quote, read car insurance reviews to find out what other people think of the providers you’re interested in. How Do You Use Car Insurance? Hopefully, you’ll never have to use car insurance. But if you do, you’ll be glad you invested in it. If you are involved in an accident with another driver or vehicle, you should always file an insurance claim, no matter how minor the accident may seem. If you don’t, it could come back to haunt you. Liability insurance protects you from lawsuits. Settling an accident with the other driver yourself (ie, rather than turning it over to the insurance company) is risky. What happens if you pay to fix someone’s car, but then they come back later asking for more? Or even claiming injury? If you hadn’t filed a claim, they may be able to go after you financially rather than the insurance company. The only time it’s ok to not file a claim is if you hit a stationary object that you own and cause minimal damage. If you have collision insurance and the damage is less than your deductible, there wouldn’t be a claims payout anyway, so it’s not worth your time attempting to claim it. Now that you know the reasons to file a claim, let’s discuss the “how to.” Each car insurance company varies slightly in how they handle claims. The customer service team at Progressive Insurance is available 24/7 to help you with your claims needs. If you are involved in an accident, you should contact Progressive as soon as possible either via phone at 1-800-776-4737 or by logging into its website. Progressive will ask you a few simple questions and work to resolve your claim immediately. After the initial call, a claims representative will reach out to you to answer any questions you may have, as well as schedule an inspection of your car. If you have any questions about your deductible or what is covered, this is your time to ask. After a Progressive representative has inspected the damage to your car, the company will send you an estimate of how much repairs will cost. The company will help you find a repair shop and schedule repairs, whether it is in their network or not. 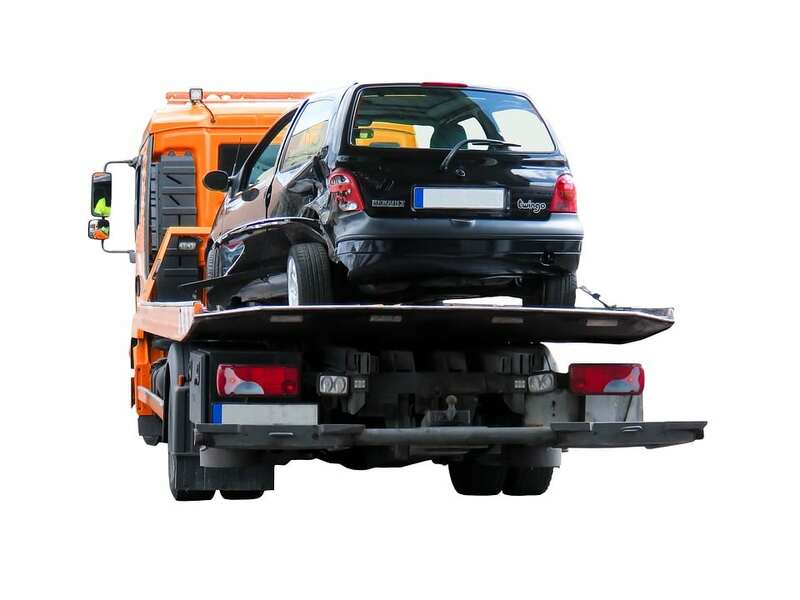 It will also help arrange towing service if need be. If you need a rental car, Progressive can help make arrangements as well. Depending on your coverage, the cost of a rental car may or may not be covered by Progressive. Progressive will check in with the repair show to make sure everything is going according to schedule. If additional damage is found, Progressive will work with them on this as well. While you are welcome to use any repair shop, we recommend using one that is within Progressive’s network, as they will guarantee your repairs for the duration you own (or lease) your car. One of the reasons we love Allstate is because of its easy claims process. The company enables you to file your claims via the app, which is very straightforward and simple. If you are involved in an accident, the first thing you should do when you get home is to file a claim. You can do so via the app, or by calling 1-800-ALLSTATE if you would prefer speaking to a person. Once you file a claim, you will receive a claims number so you can track your claim. Once you have filed a claim, Allstate will send a professional to investigate the damages to your vehicle. They will look at how badly your car is damaged and provide an estimate of the cost of repairs. If your car is utterly wrecked and Allstate determines it will cost more to repair your car than its cash value, it is considered a “total loss vehicle.” In this case, Allstate will pay you up to the actual cash value of your care, minus the deductible. Once the estimate has been approved and you have chosen your preferred method of payment, the repairs can begin. USAA’s app makes filing claims (and managing your account) simple. 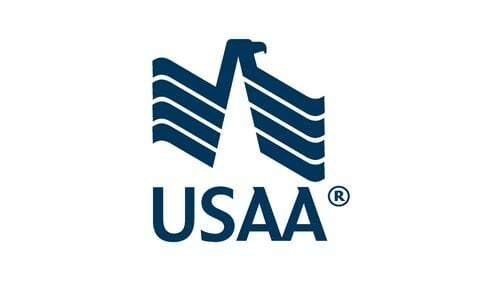 If you have USAA, we highly recommend you download it. Once you have returned home following an accident, you will need to file a claim. This can be done via USAA’s app, on their website or via phone. Once USAA receives your claim, it will be automatically assigned to a claims representative who will keep you informed throughout the process. Once you have filed your claim, you’ll want to know what your policy covers. You can review this on your own, or wait for a claims representative to contact you. Once he or she does, they will have your policy on hand and can answer any questions you may have. Your claims representative will assign someone to come out and inspect your car. This person will assess the damage and work to determine how much repairs will cost. Once the inspector informs you how much repairs will cost, you have the option to move forward with repairs or hold. You’ll want to keep your deductible in mind, as that will be the cost you are required to pay out of pocket. Depending on the claim, payment can be made directly to you, the lien holder (if your car is leased or financed), the repair facility, or other. If payment is given directly to you, you will be paid based on what type of payment you requested: check or Electronic Funds Transfer (ETF). Most of USAA’s car insurance reviews mention that this process is simple. Liberty Mutual boasts that its claims can be filed in five minutes or less with its app. Don’t want to use the app? You’re also welcome to call 1-844-825-2467, and a representative will help you with claims the process. Plus, with accident forgiveness, you won’t have to worry about your rates increasing due to your first accident. If you are involved in an accident, you need to report it to your insurance company as soon as possible. If you choose to file your claim via Liberty’s app, you will be guided through. If you prefer to speak with a live representative, they will guide you through the process as well. Once you have filed your claim, Liberty will conduct an investigation to determine who was at fault in the accident. This will determine how the claim will be settled. After the investigation, your claims representative will contact you to discuss next steps. Steps will vary depending on who is considered the at-fault driver. If you are able to drive your car and it is at home with you as opposed to in a repair shop, the representative will ask you to take photos of the damage of your car and provide an email address for you to send photos to. Your claims investigator will also help you schedule a damage review. This is where someone will come out to look at your car and access the damage, as well as figure out how much it is estimated to cost to repair. While Liberty does have a Guaranteed Repair Network, you are welcome to have your car repaired wherever you like. However, if you do go through the Liberty Guaranteed Repair Network, your repairs will be 100% guaranteed for as long as you own your car. Many Liberty Mutual car insurance reviews state that the claims process was smooth and took care of everything that needed to happen without stress or fuss. That’s one reason why Liberty is one our top 5 car insurance choices. 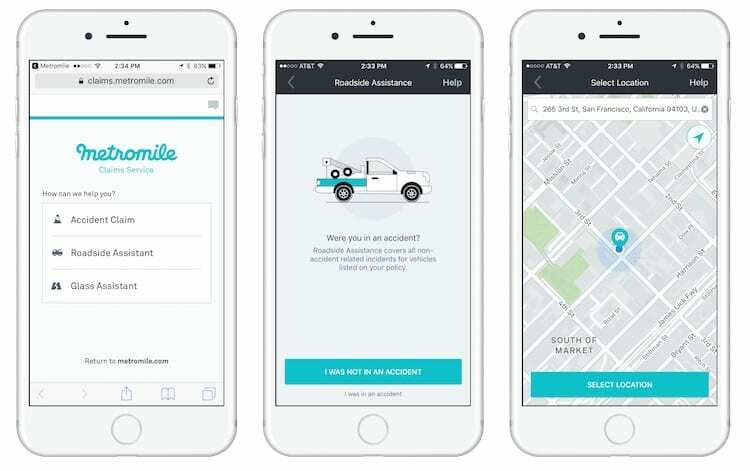 MetroMile is an innovative, out-of-the-box car insurance company, so it should come as no surprise that the company has a first-class app through which you can file your car insurance claim. This company also has a different process depending on what type of claim you need to file. If you need to file a hit and run claim or a glass and windshield claim, there are dedicated claims centers. If you need to file any other type of claim, you will go through the normal claims process and either file your claim through the app or by calling (888) 595-5485. Once the claim has been filed, you can begin the repairs process. The first step is to get a damage estimate. Your claims representative will walk you through this process and in most cases is able to complete an estimate based on photos, rather than having to come out in person. If you are happy with the repairs estimate, you can move forward, but if not, that’s fine too. Repairing your car is not mandatory. In conclusion, you need car insurance. Driving without it isn’t just illegal in most states, but not having insurance puts you at risk financially. If you are at-fault in an accident, you are legally required to cover the costs of the car you hit, as well as any medical bills incurred by the other party. 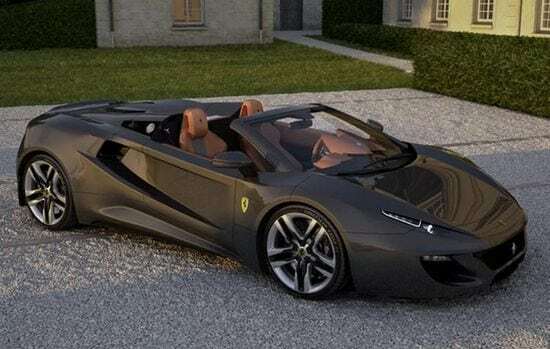 Imagine you hit a brand new Ferrari and the driver winds up in the hospital for an extended stay, requires surgery and physical therapy. You could be liable for half a million dollars! If you don’t have car insurance, that money will need to come out of your pocket. If you do, then thankfully your car insurance company will cover the costs. Luckily, our top 5 car insurance picks and our car insurance reviews can help you make the decision about which company you should go with. If you’re interested in learning more, read our individual car insurance reviews to learn more about our top 5 car insurance picks.